The Northeast Conference used Twitter to unveil its 2014 football award winners and all-league teams. We’ve captured a lot of NEC-related Twitter activity on this Opening Day of the 2014-15 college basketball season and have posted some of the top tweets below. Unbeaten teams remaining: 351. Good luck everybody! 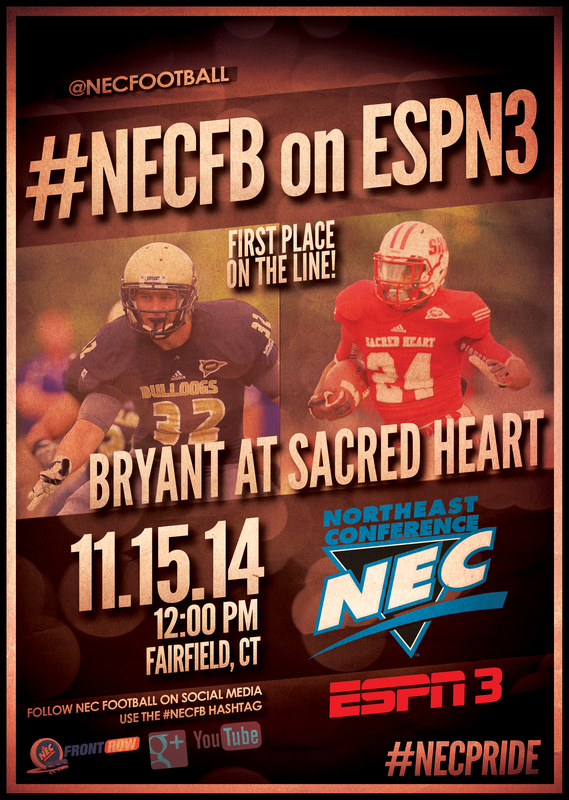 If there is an #NECMBB upset today, I think it is going to be Bryant over UConn. Bryant will need to play flawless to do it though. DC bound.. Business trip.. Last go around..
Ready for another great practice today with @SacredHeartWBB & best of luck to all the @NECsports WBB teams opening up their season today! By my count, there will be 261 #NECMBB & #NECWBB games on @NECFrontRow this season. We are invoicing each fan ZERO dollars for this. Enjoy! Two weeks to go. Three teams are alive.